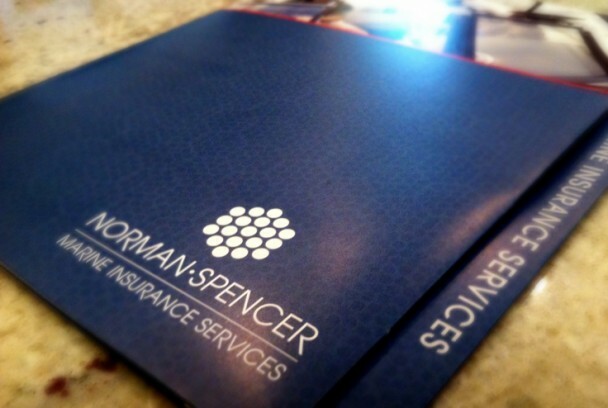 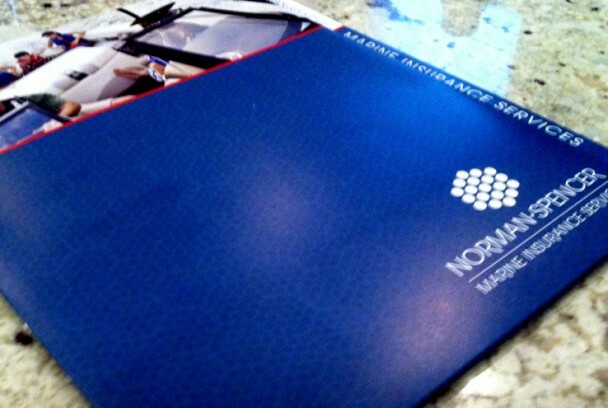 Collateral kit designed for Norman-Spencer's Marine and Boat/Yacht industry. 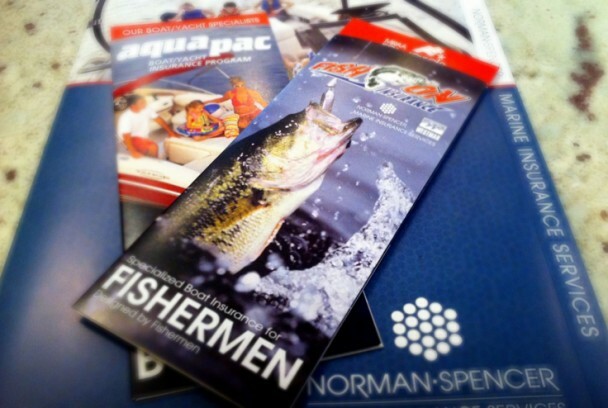 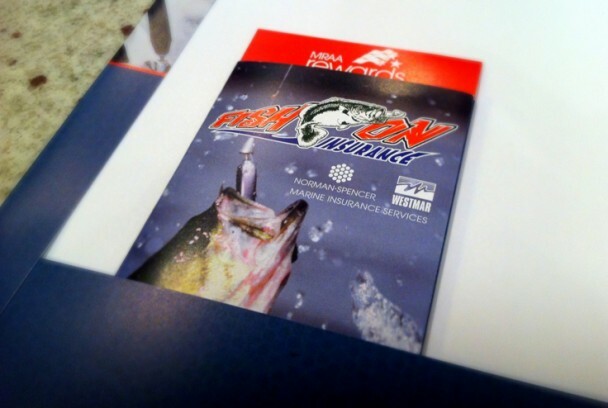 Two brochures were designed inline with their sub companies/products, FishOn and AquaPac, before the merger into Norman-Spencer Marine. 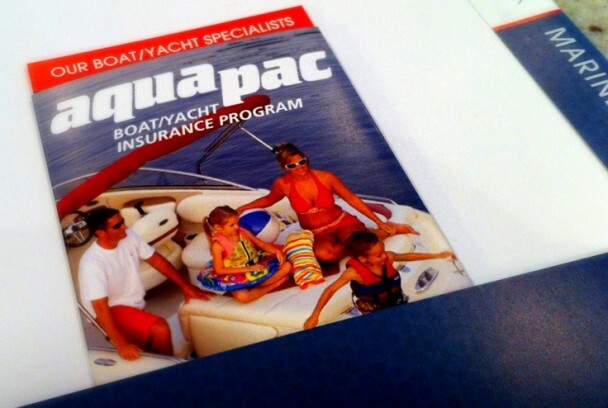 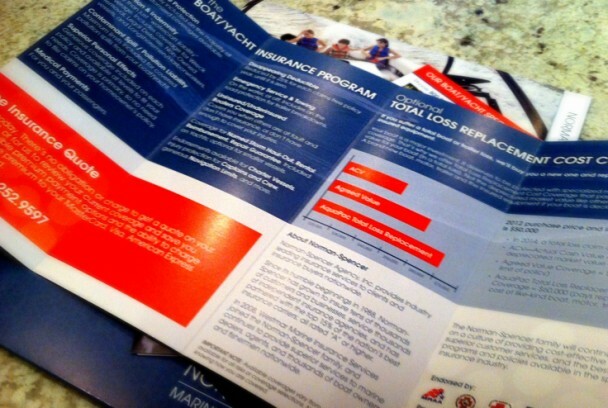 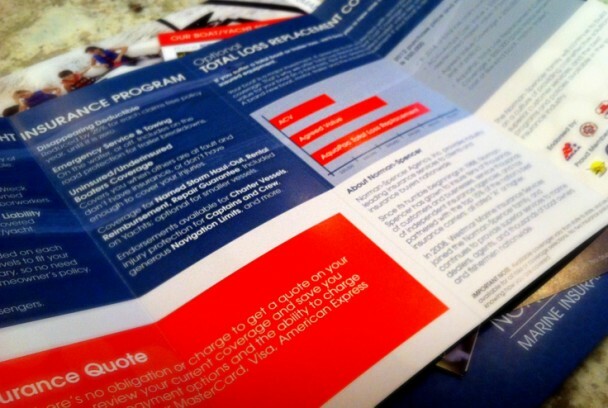 Each highlighting different insurance "packages" for boaters and fishermen alike. 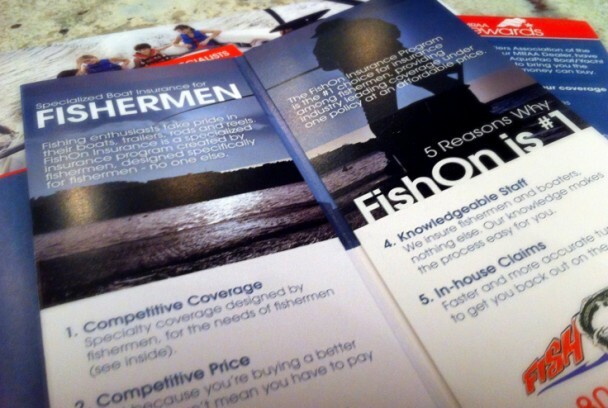 Designed under Topic Design Group (topicdesign.com) with help from Kenny Glenn (brochure inserts) and Brian Kane (folder).